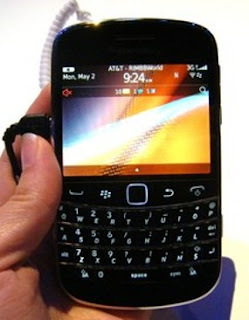 BlackBerry Bold 9900: Slim but Powerful ~ " World Information "
Jakarta - Although looks like the Bold 9000, BlackBerry Bold Touch 9900/9930 but has capabilities that far above its predecessor's. Research In Motion (RIM) also promises great performance behind the slim design of this smartphone. "This smartphone is fully equipped with the beauty of offering to the user experience as well as smooth and fast performance. Touch screen is also brilliant and has an amazing ability to type," said Lazaridis, RIM's in an official statement on Tuesday (03/05/2011). This device would have made two versions, series 9900 for GSM and the Bold 9930 series to CDMA segment.